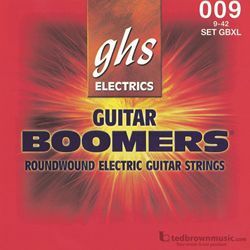 Now known as "The Power String", GHS Boomers® continue to make their mark on music across the world. The roundwound guitar set is made with Nickel-Plated steel wrapped tightly around a round core wire. The combination provides the string with its bright characteristic and long-lasting tone.